It's unfair to categorize children as either naughty or nice, without any shades of gray in between. But in the case of one youngster from 19th century Boston, naughty doesn't come close to describing his sadistic deeds. Jesse Pomeroy was born November 29, 1859. Before his 15th birthday, he would become the youngest person convicted of first-degree murder in the history of Massachusetts. READ MORE: HE WAS THE YOUNGEST PERSON EXECUTED IN 20TH-CENTURY U.S.
As a child, Jesse was ridiculed because of a facial deformity--his right cornea was covered with a thick, white film. He kept to himself mostly, reading dimestore novels full of macabre tales instead of playing with the neighborhood kids or his older brother, Charles. Jesse's father Thomas Pomeroy was an alcoholic and physically abused his young son, whipping him regularly. Jesse's mother Ruth Ann Pomeroy sympathized with Jesse, but did little to stop the abuse. This dismal environment undoubtedly had a negative effect on the boy. At age 12, he lashed out the only way he knew how--by bullying those smaller and weaker than him. In the winter of 1871 in Chelsea, Massachusetts, reports surfaced of young boys being viciously assaulted by a mysterious attacker. Unbeknownst to the community and the Boston Globe, which referred to the perpetrator as the Red Devil and The Boy Torturer, the culprit was Jesse Pomeroy. From the beginning, Jesse's attacks were disturbing--not just mirroring the drunken beatings he received from his father, but taking them one sadistic step further. Jesse exploited the innocent nature of his young victims, promising candy and money to lure them away. Once he got them alone, he forced the children to strip naked, whereupon he whipped and beat them unconscious. As the number of victims grew, Jesse's methods became more brutal. He used knives and pins to slash their bodies and slit their faces, even sexually assaulting them. The terrified children reported how their attacker smiled and laughed throughout the ordeal. Jesse's mother came across the reports and feared she knew just who was behind the assaults. 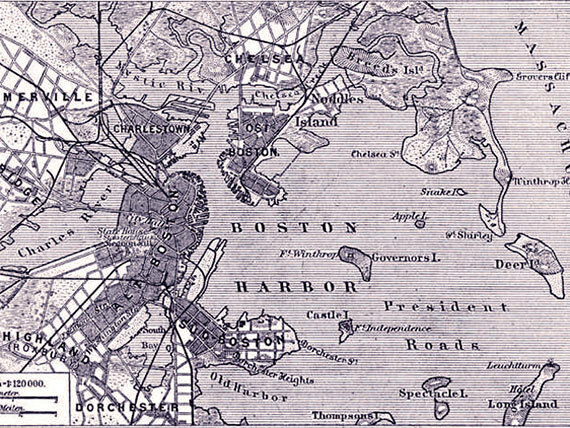 In an attempt to protect her son, she moved the family from Chelsea to South Boston. Subsequently, the attacks in Chelsea ceased--and began again in South Boston, where Jesse continued down his dark road of violence. He targeted local children in much the same way, luring them with promises of sweets to desolate train tracks or the beach. In August 1872, a young boy was discovered brutalized and abandoned along the shore of Boston Harbor. A few weeks later, 5-year-old Robert Gould was found bound to a telephone pole, stabbed and bleeding. He was also sexually assaulted. Despite the trauma Robert suffered, he was able to describe his attacker--honing in on the cloudy right eye. Jesse, age 13, was caught soon thereafter. A juvenile court found Pomeroy guilty of the attacks and sent him to the State Reform School of Westborough, where he would remain until he turned 18 years old. Jesse's one champion, his mother, did everything she could to get her son released--including striking up affairs with influential police officers. Ultimately, her efforts proved successful. 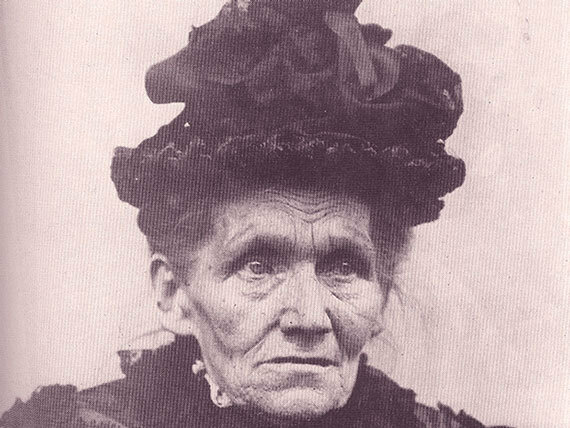 In February 1874, the state agreed to release Jesse into Ruth Ann's guardianship. Pomeroy was a free boy. By now, Jesse's abusive father was out of the picture. Ruth Ann supported her family by operating a dressmaking store, while her eldest son worked a paper route. Jesse would have plenty to do to keep him out of trouble--or so she thought. A month after his release, Jesse's actions turned deadly. 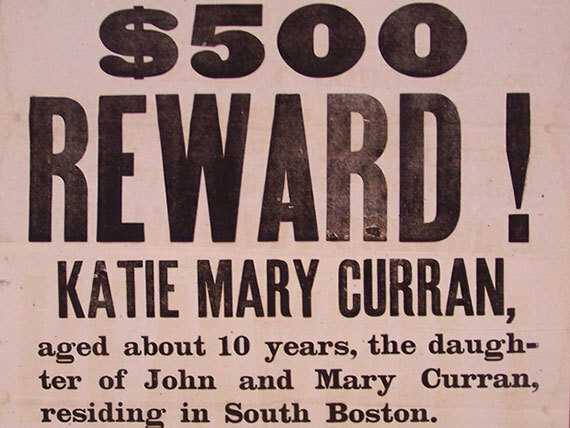 On March 18, 1874, 9-year-old Katie Curran went missing. The last place she had been was the Pomeroy shop where Jesse now worked. Police talked to Jesse, but discovered nothing. A month later, two brothers made a grisly discovery in a sandy ditch in Dorchester Bay. The naked body of 4-year-old Horace Millen had his throat slit, and was stabbed multiple times in the chest, groin, and even the eyes. Police were able to link the crime to 14-year-old Jesse, who was seen fleeing by witnesses, and whose shoe prints matched those in the sand. He also had scratch marks on his body and blood on his clothing. Upon Jesse's second arrest, Ruth Ann was forced to close her dressmaking shop. No one in South Boston wanted to patron the Pomeroys. New owners moved into the empty storefront in July, where they uncovered the decomposing body of a child in the basement. The remains were quickly identified as Katie Curran. The facts of the murder soon unraveled. Katie had come into the family shop to buy a notebook. Jesse lured her to the basement, attacked her from behind, and slit her throat. He then mutilated her body in much the same way he had brutalized Horace Millen's. Afterward, Jesse buried her under a pile of ashes. Initially, Jesse confessed to the murder. "I couldn't help it," he claimed. Later in life, he would amend his confession. In a rambling autobiography penned while incarcerated, Jesse alternately maintained his innocence and claimed insanity. 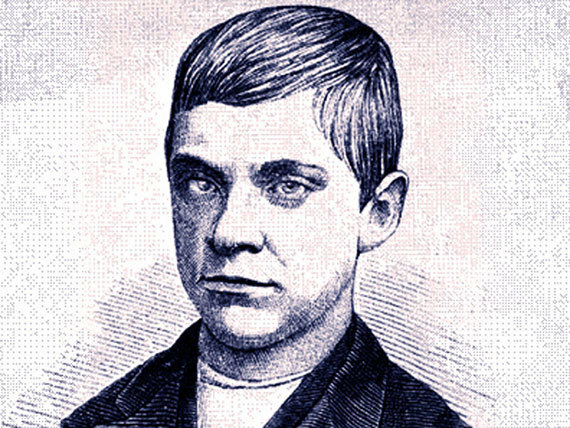 In December 1874, young Jesse Pomeroy was found guilty of first-degree murder. He was fourteen years old. The judge initially sentenced Pomeroy to death by hanging, but Massachusetts Governor William Gaston refused to sign a warrant for his death on account of his age. Instead, Jesse spent the rest of his life in prison, part of it in solitary confinement which began just shy of his seventeenth birthday in Charlestown State Prison. He died in the Bridgewater Hospital for the Criminally Insane at the age of 71 on September 29, 1932. FOLLOW THE LINEUP ON FACEBOOK FOR MORE HISTORICAL, TRUE CRIME STORIES.